Many Eastern European desserts start with sponge cake and this moist version tops them all. I believe the addition of 2 tablespoons of melted butter to the batter is what does the trick. This can be baked in a 9-inch springform pan and split into three layers, or baked in a 13x9-inch pan and split into two layers. 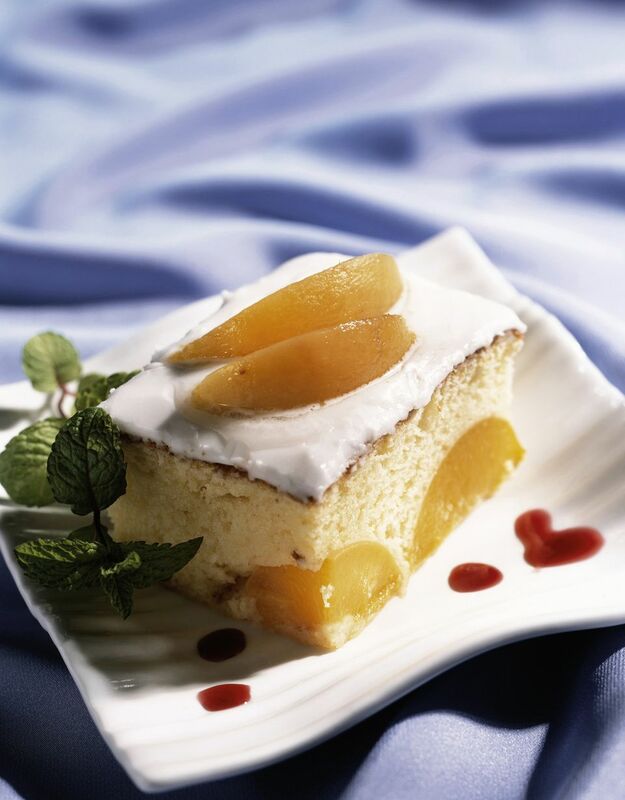 Try this in Russian Apricot Torte Recipe, Croatian Cupavci, or any other tort requiring a no-fail sponge cake. Place rack in middle of oven and heat it to 325 degrees. Coat a 9-inch springform pan with cooking spray, place a parchment circle in the bottom, and spray again. Or do the same with a 13x9-inch pan. Place 7 egg yolks in one bowl and 7 egg whites in another bowl. Add 1/2 cup sugar to each bowl and beat whites until stiff but not dry, and beat yolks until thick and light. Fold whites into yolks. Using a sieve, sprinkle 1 cup flour over eggs in three additions and fold in, trying not to deflate the batter. Mix in melted butter. Bake 25-35 minutes or until toothpick tests done. Remove from oven and let cool completely in pan. When ready to assemble a torte, invert sponge onto a parchment-lined work surface and peel off parchment paper sponge was baked on. Slice into 3 layers and fill.